Groundwater Guardian Green Site (GGGS) Reflective Road Sign. Mounting hardware not included. 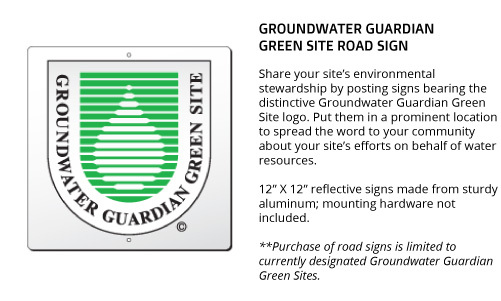 Note: Purchase of road sign is limited to currently designated Groundwater Guardian Green Sites.